Bite into thirty-five more stories full of drifting ghosts, creepy dolls, evil orthodontists, angry insects, scary movies, hungry witches, annoying vegans, super-hot peppers, and other horrors. Find out the worst thing that can happen on a carnival ride (it even creeped me out), and the best way not to give a cat a bath. 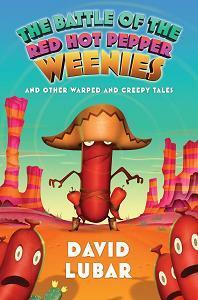 This might be the tastiest weenie collection yet. In this entertaining collection of three dozen short stories, Lubar creates characters who will quickly engage readers.